Sunseeker London will deliver 4 new yachts over 80ft in the next week, following the sale of an 80 Sport Yacht, 115 Sport Yacht, 28 Metre Yacht and Predator 92 Sport by the London sales team. The Sunseeker 80 Sport Yacht “ALFA QUATTRO” was brokered by William Burns and is bound for France with shipping providers Peters & May. The striking model has turned a few heads whilst at the Sunseeker International shipyard, with her gold hull wrap by Wild Group International creating a stir on social media. Alongside the gold 80 Sport Yacht on the delivery ship are two other new Sunseekers, a second 80 Sport Yacht and a Manhattan 55, both of which are heading to the Mediterranean to be exhibited at the upcoming Cannes boat show. Marking his second completion this month, William has also confirmed the sale of the Sunseeker 115 Sport Yacht “NO 9” this week. Now en route to France with her full crew, “NO 9” will shortly be arriving at her home berth in Golfe Juan – we’re looking forward to seeing her in her new ‘habitat’ of the French Riviera for #SunseekerSeason! 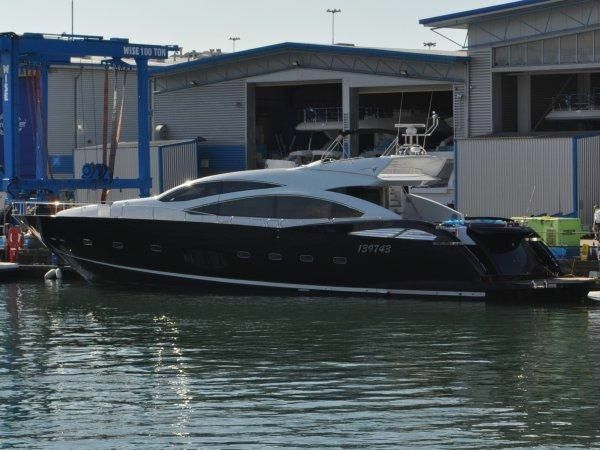 Christopher Head, Sales Director of Sunseeker London, has also confirmed the sale of a 28 Metre Yacht and a Predator 92 Sport, which are currently being prepared for delivery. The Predator 92 Sport has undergone an extensive interior refit, making her a one-of-a-kind version of the Sunseeker sports model. In addition to sales by Sunseeker London this week, the past month has seen a number of large yacht sales for the Sunseeker London Group as a whole, including a 40 Metre Yacht by Sunseeker Poole and a 75 Yacht by Sunseeker Monaco. 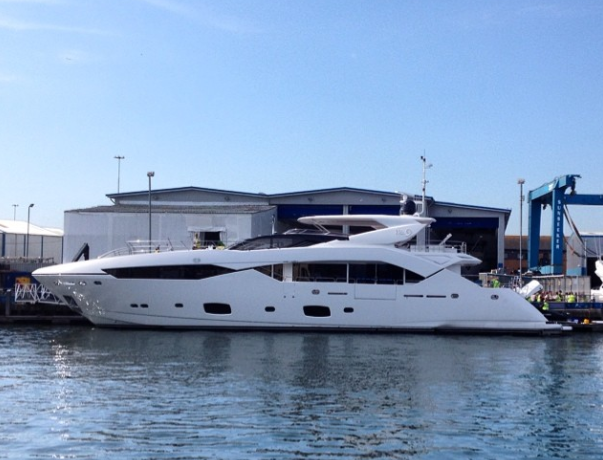 Sunseeker Poole too confirmed the sale and handover of a brand new 86 Yacht , which will make her debut at the Cannes and Southampton boat shows this September. Not forgetting also hull #2 of the 101 Sport Yacht, sold by Sunseeker France, which passed her sea trials with flying colours in June, and is now berthed in St Raphael. The list goes on….! Together with the recent announcement of the new Custom 168 Sport Yacht design and the launch of the 155 Yacht by Sunseeker International, 2014 has proven a very exciting year for the shipyard and its distributors, and the Sunseeker London Group is looking forward to announcing further sales in the near future.